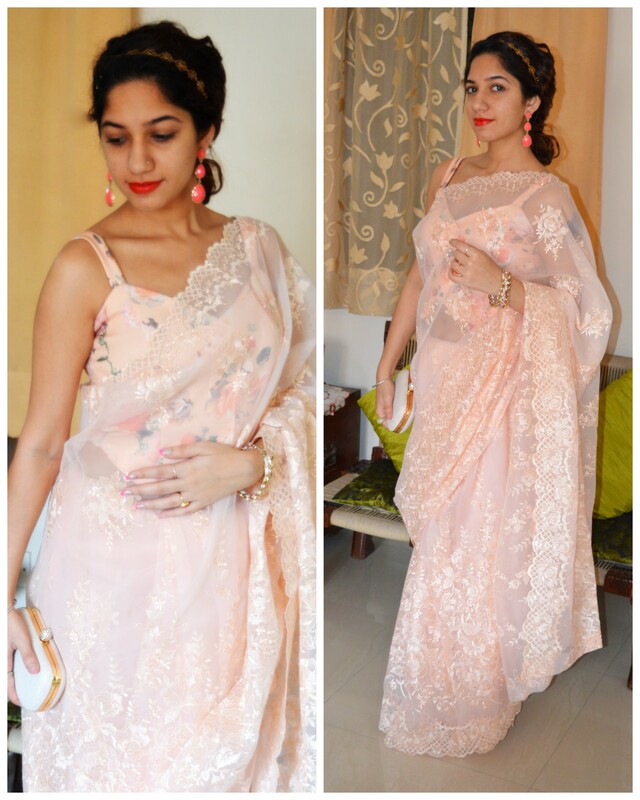 Occasions like a theme party, friend’s fun Cocktail/Sangeet ceremony, school/ college farewell, fashionable friend’s wedding or even an office party are times when you would love to dawn a saree but definitely not the traditional way! 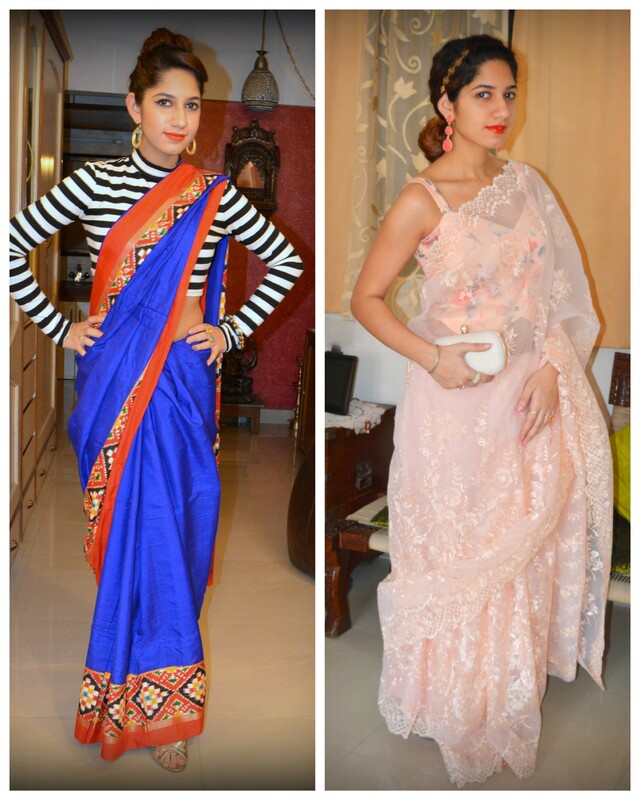 Except Satya Paul who brought contemporary sarees into the Indian market I can barely think of places where I would find unconventional sarees. 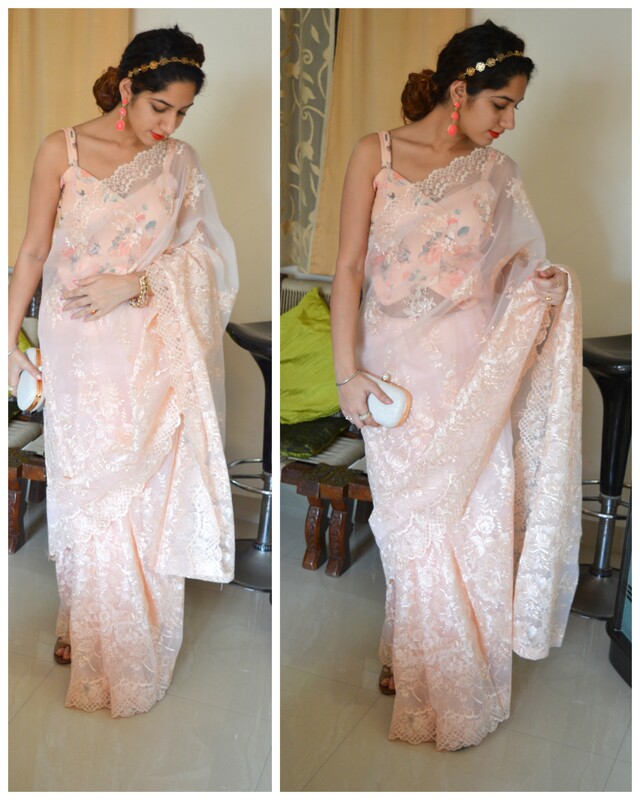 Also, do I really want to spend so much buying a saree? 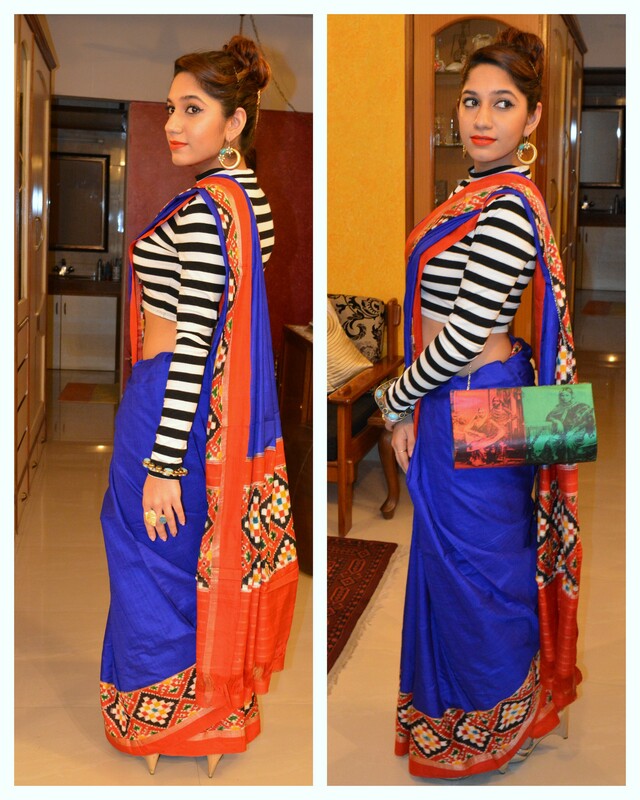 A contrasting coloured crop top with a printed saree. 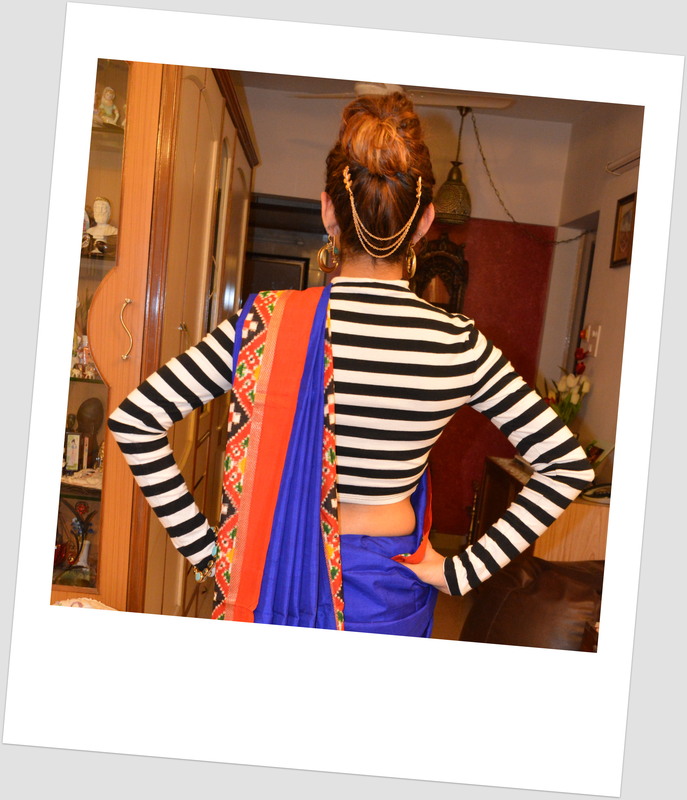 Quirky print, Polka doted/striped crop trop, lace crop tops are good choices to give the saree that modern twist. 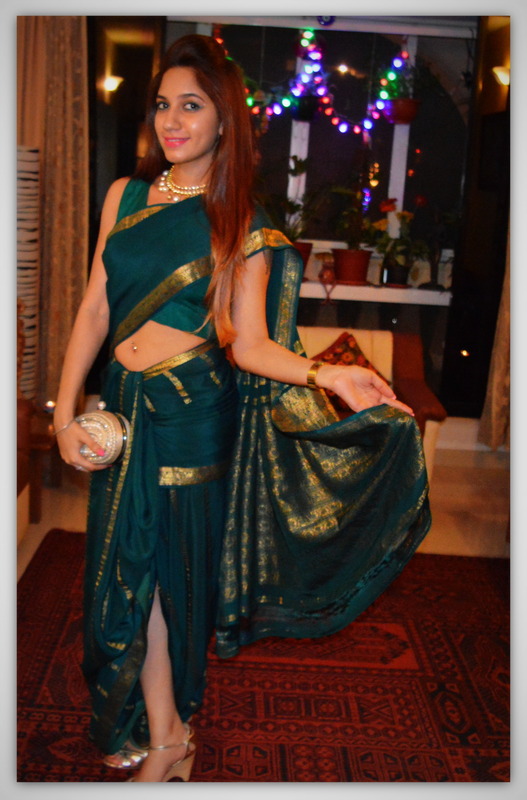 If you like it jazzy then sequined or metallic crop top looks fabulous with a plain coloured saree. Accessories (from Aquamarine) were also kept far from traditional 😀 Specially loved this quirky colour block clutch bag from Pink Jalebi. 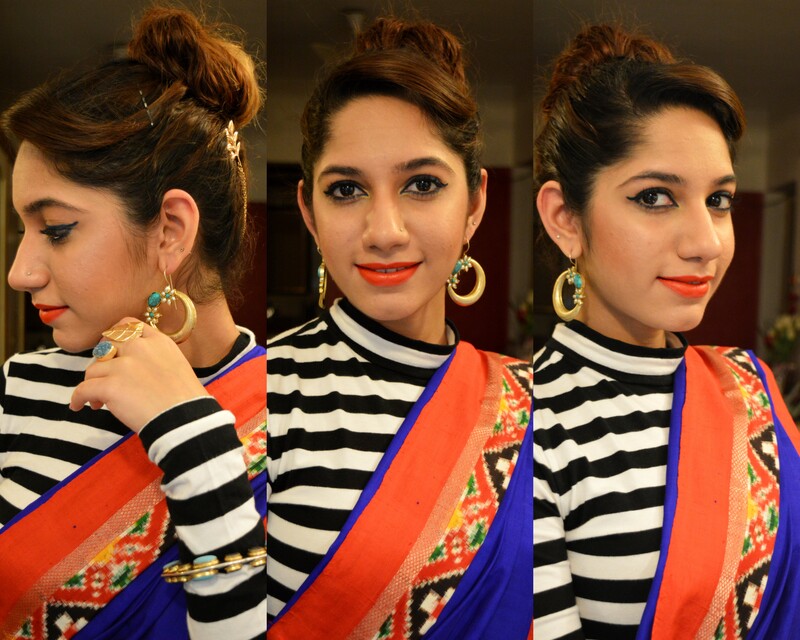 What especially added that modern touch to my saree look was my top knot! wow.. Great article. very unique and beautiful. loved it.